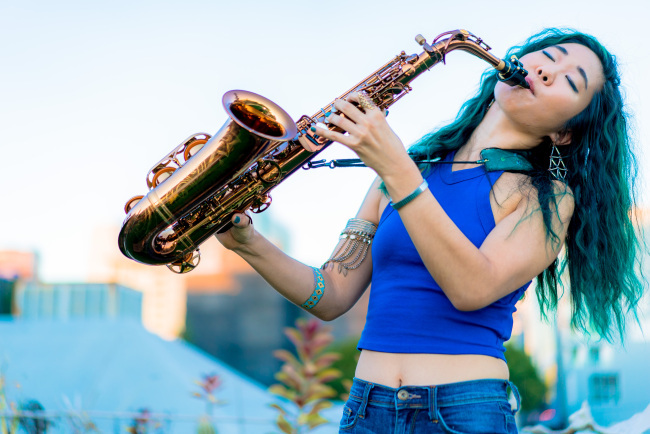 Musician Grace Kelly -- perhaps like the legendary actress-turned-princess of the same name -- is a person who likes to take chances and travel the world. 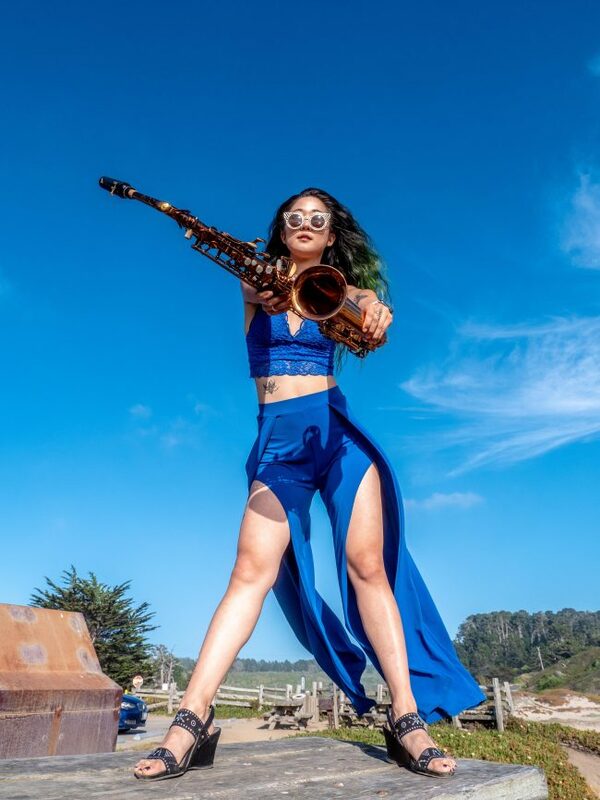 But of all the paths she has taken since being identified as a jazz prodigy in her preteen years, Kelly said her recent album was the biggest challenge and the greatest source of pride. 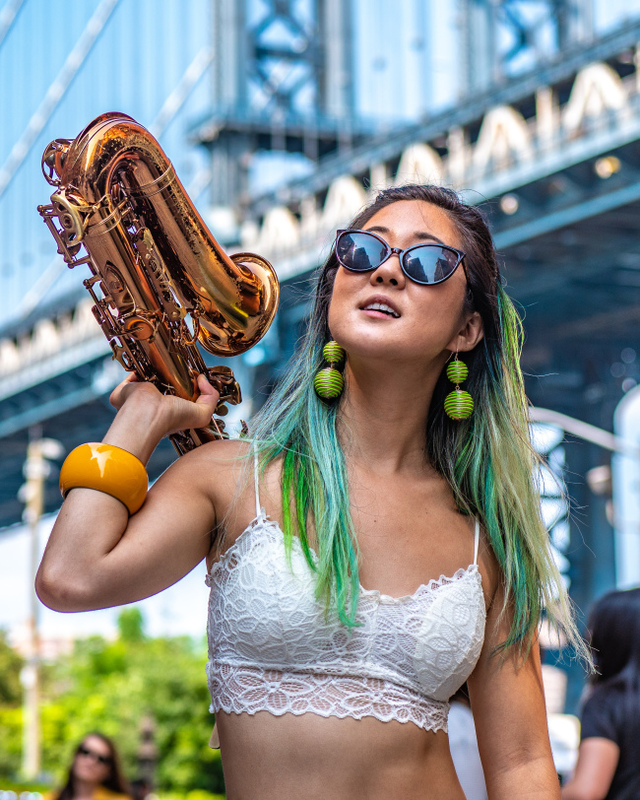 “GO TiME: Brooklyn 2,” released Oct. 12, definitely ventures into unfamiliar territory for the 26-year-old musician, toying with electronic, pop and other genres along with her traditional jazz. It is also the one that seems to represent the unique style that has “Grace Kelly” scribbled across its surface. “I’m most proud of my recent album because of that leap of faith that I took -- of not fearing where it’s going to be placed in the music industry. And just being like ‘this is really the music I want to present’ (to the listeners),” Kelly said, during an interview that took place on sidelines of her performance at the Jarasum Jazz Festival. “I guess, in the past, I’ve always felt a little bit shy about bringing pop influences into my music. Just because the jazz world, like the classical world, can be a little bit ... specific,” she said. The album throws off anyone expecting traditional jazz, as the range of instruments and musical styles has the distinct fragrance of contemporary popular music. But her much-beloved vocals and the accompanying cries of the saxophone are there too, creating a unique blend. Like the turquoise-green of her hair, Kelly is a person of a different color, owing to her upbringing. Born Grace Chung, she came from an American household as a result of her mother’s second marriage -- one that she describes as more “relaxed” and more supportive of a young person’s artistic dreams than a traditional Korean family. Her first encounter, however, was not with jazz. “Growing up, my parents knew very limited jazz, they liked Brazilian music. ... There was a very famous Brazilian song that had the saxophone of Stan Getz on the record.” That was the beginning of her lifelong affair with the instrument. 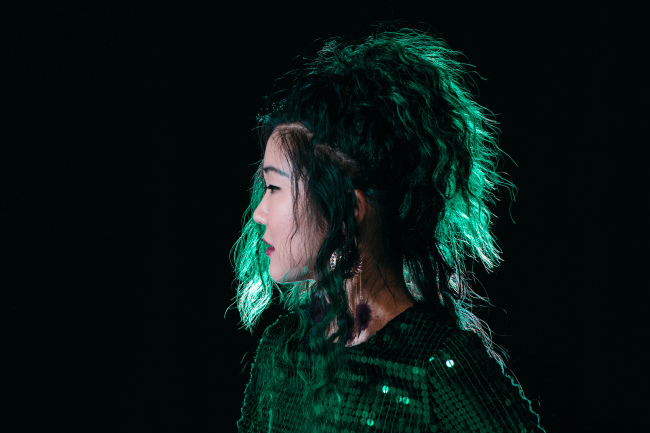 The young Kelly’s playlist grew to encompass jazz, Broadway musicals, classical music and pop music, ranging from Miles Davis and Michael Jackson to Skrillex and BTS as of recently. Having recorded her first record, “Dreaming,” at the age of 12, she quickly became one of the most prominent millennials in the jazz world. She worked with her idols Phil Woods and Lee Konitz, also collaborating with other artists along the way. As Kelly influenced the world of jazz, it influenced her as well. “I think jazz and improvisation have become the biggest teachers in my life, going with the flow, taking chances, not worrying about everything. ... Music has taught me that you can’t be too prepared. Otherwise the music becomes too square, and you can’t prepare for everything because you never know what’s going to happen,” she said. With “Feels Like Home,” off the new album, Kelly won the 2018 John Lennon Songwriting Contest. What’s more is that the record broadened her horizons. “It just widened to so many more types of music, so many types of jazz -- from Jacob Collier and Snarky Puppy, to Kenny Garret and Miles Davis. Same with pop music -- from Billy Joel and James Taylor to Taylor Swift and BTS,” she said. “I think you have to (change) as an artist in 2018. “We’re lucky we live in a time where independent artists can really present the music they want to present, but it doesn’t really fit into these boxes,” Kelly said, adding that she one day hopes to reach to a much wider range of listeners by merging genres of music. “To anyone with an interest in merging (music genres), 2018 is an amazing time. It’s easier than ever to collaborate with other artists,” she said. The artist at the very top of her wish list is musician Zedd, whose background in various genres of music shows through in the brilliance of his music, according to Kelly. “I think we would just nerd out, and come up with something great, if he ever wanted to work with me,” she said. Kelly also mentioned John Legend, Bruno Mars, Anderson Paak and Lady Gaga, who also has a jazz background. The eager look on the young musician’s face hinted at her hunger to grow as an artist. “I always feel like it’s the job of an artist, a creator to keep pushing the boundaries. I don’t like it when I get comfortable,” she said, hinting at that more surprises might be around the corner for the fans that have watched this prodigy blossom into a prominent young musician.